Which wireless connections are better, infrastructure or adhoc Wi-Fi? What is the difference between infrastructure and adhoc Wi-Fi? Knowing the different types of Wi-Fi networks can be useful in various scenarios. Perhaps, you want to connect two laptops in a room without wireless Internet. In this case, it would be ideal if you know what kind of network connection you can use. That said, Wi-Fi access points typically function in ‘infrastructure’ or ‘ad-hoc’ mode. Moreover, a lot of devices that are Wi-Fi-enabled are only capable of connecting to infrastructure-mode networks—not to ad-hoc ones. What is the Difference Between Infrastructure and Ad-Hoc Wireless Networks? Most people are familiar with Wi-Fi networks functioning in infrastructure mode. After all, this is the type of wireless connection found in cafés, hotels, office places, homes, and schools. Basically, when devices are connected on this network, they communicate through a single access point, which, in general, is the wireless router. Let’s take two laptops positioned next to each other as an example. They can be connected to the same wireless network, but they are not directly communicating with each other. What happens is, one device sends packets to the access point and the packets are sent to the other laptop. To connect all the devices, you’d need an infrastructure mode network with a central access point. Also known as ‘peer-to-peer’ mode, ad-hoc networks do not need a centralized access point. In this type of wireless network, the devices can connect directly to each other. You can set up two laptops in ad-hoc wireless mode, and they wouldn’t need a centralized access point to directly connect to each other. It is easier to connect two devices in ad-hoc mode because they wouldn’t need a centralized access point. For instance, you are inside a hotel room without Wi-Fi and you want to directly connect two laptops to each other. You can do so by forming a temporary Wi-Fi network through ad-hoc mode. You wouldn’t need a router because the new Wi-Fi Direct standard builds on ad-hoc mode allowing the laptops to communicate directly over Wi-Fi signals. On the other hand, when you want to create a more permanent network, it is best to set it up in infrastructure mode. It is worth noting that wireless routers generally possess higher-powered antennas and radios. So, they are the best access points for covering a wider area. When you compare infrastructure and adhoc networks, the latter only relies on the limited power of the wireless radio of the laptop. That said, ad-hoc mode also requires more system resources. When the devices move around, the physical layout of the network changes. On the other hand, the infrastructure mode’s access point generally remains stationary. There will also be more wireless interference when many devices are connected to the ad-hoc network. Instead of going through a single access point, every device has to establish a direct connection to each other. So, if you need to connect a laptop to another laptop that is out of its range, the unit must pass the data through other devices on the way. As you can imagine, passing data through several devices is simply slower than doing it through a single access point. Whether your operating system is Linux, Windows, or Mac OS X, it is relatively simple to create a local area Wi-Fi network on your laptop. However, you have to know that by default, most systems will create an ad-hoc network. For instance, you can use the Control Panel in Windows to create an ad-hoc network. This is useful when you want to temporarily connect two laptops. However, this can be inconvenient when you need to connect a device that does not support ad-hoc mode. Some examples include Google’s Chromecast, wireless printers, and Android devices. If you have the Windows 7 or Windows 8 operating system, you can run a few commands on Command Prompt to create an infrastructure mode access point on your laptop. On the other hand, you can easily do this by using Connectify. If you’re using Linux, you can create an infrastructure mode access point, using the AP-Hotspot tool. You can enable the Internet Sharing feature on Mac to create an infrastructure mode access point. In general, you shouldn’t have to think too much about these two different network modes. By default, wireless routers are configured to use infrastructure mode. Moreover, you can quickly connect two laptops by using ad-hoc mode. What you do have to worry about is how your device will be protected while connecting to a network. As we’ve discussed in a previous article, it is possible to hack a computer through a wireless network. As such, we recommend keeping your device secure, using Auslogics Anti-Malware. 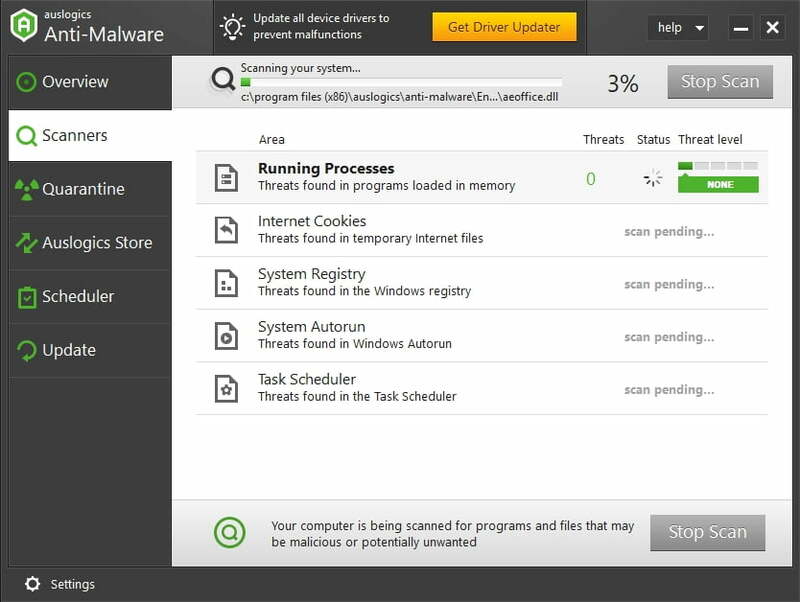 This tool detects malicious items you’d never suspect existed. What’s more, it can catch items that your antivirus may miss, keeping your laptop safe and secure while you connect to any type of network. So, which do you prefer—infrastructure mode or ad-hoc mode networks?